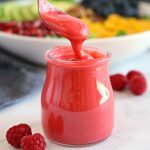 This Healthy Raspberry Vinaigrette Salad Dressing is the perfect addition to any fresh summer salad, and it’s made with only 4 simple ingredients! Hi friends! 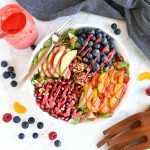 This Healthy Raspberry Vinaigrette Salad Dressing recipe is going to be your new favourite salad dressing for summer!! There’s almost nothing I love more in the heat of the summer than a fresh green salad topped with a really good raspberry vinaigrette and I’ve finally got an absolutely delicious and healthy Raspberry Vinaigrette Salad Dressing that I’m thrilled to be sharing with you all today! 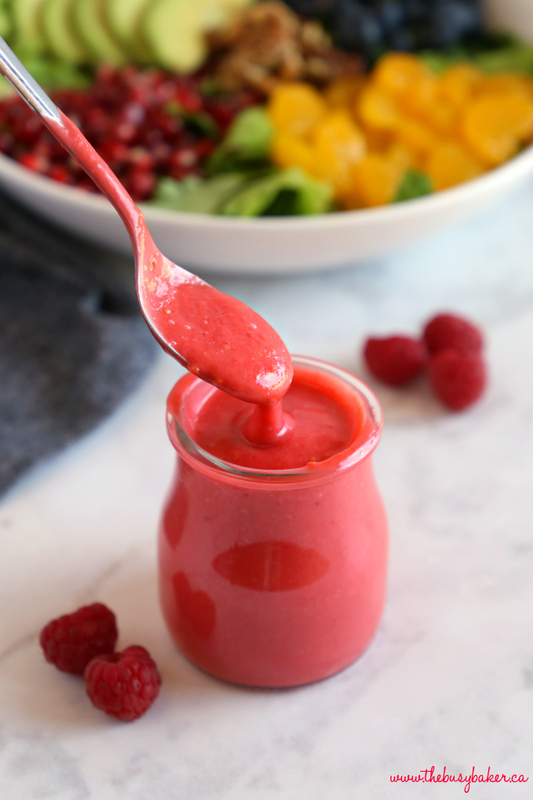 This Healthy Raspberry Vinaigrette Salad Dressing is a great healthy choice and the perfect way to get away from all those store-bought salad dressings laden with preservatives, sugar and so much fat. It contains only fresh fruit, a small amount of quality olive oil, vinegar and honey as a sweetener instead of sugar. 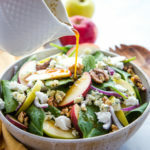 It’s truly an ultra-delicious salad dressing that will help you stay on track all summer long! 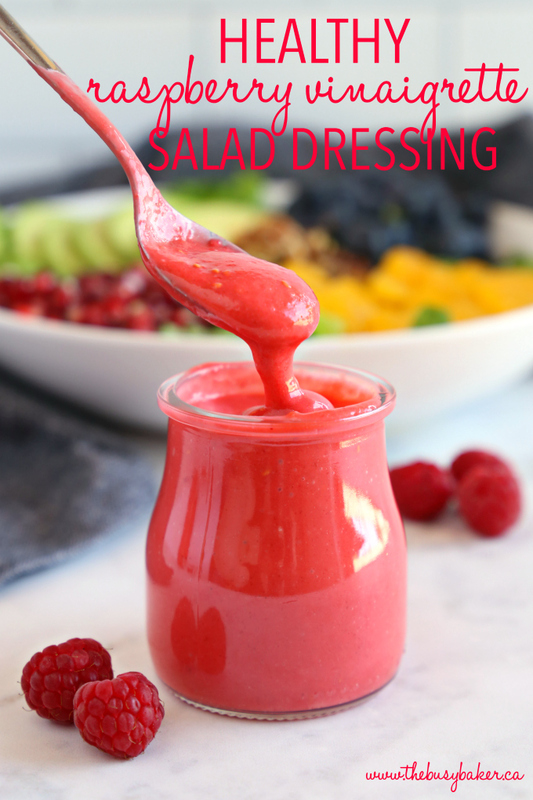 I hope you love this Healthy Raspberry Vinaigrette Salad Dressing as much as we do! Let me know in the comments below, what’s your favourite summer salad dressing? I’d love to know! 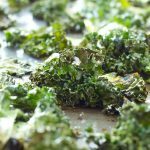 Looking for more delicious summer salad recipes? 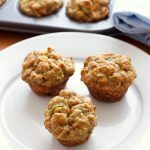 You’ll love these!! 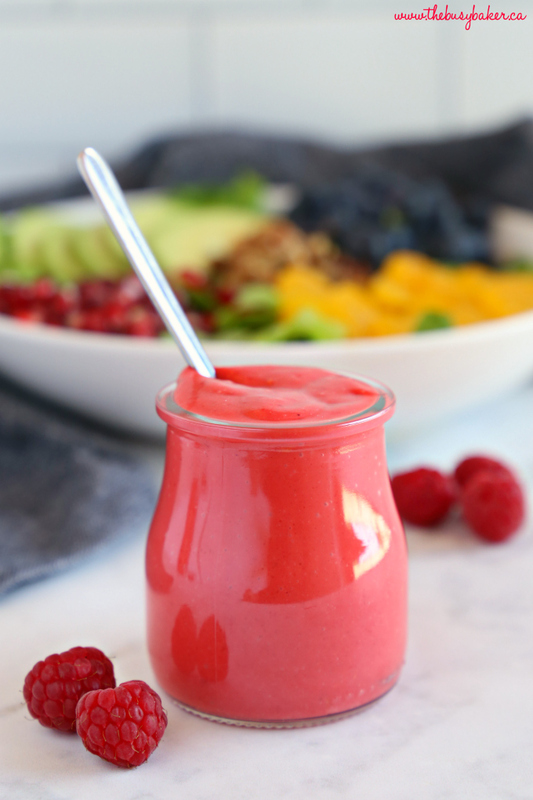 This Healthy Raspberry Vinaigrette Salad Dressing is the perfect addition to any fresh summer salad, and it's made with only 4 simple ingredients! 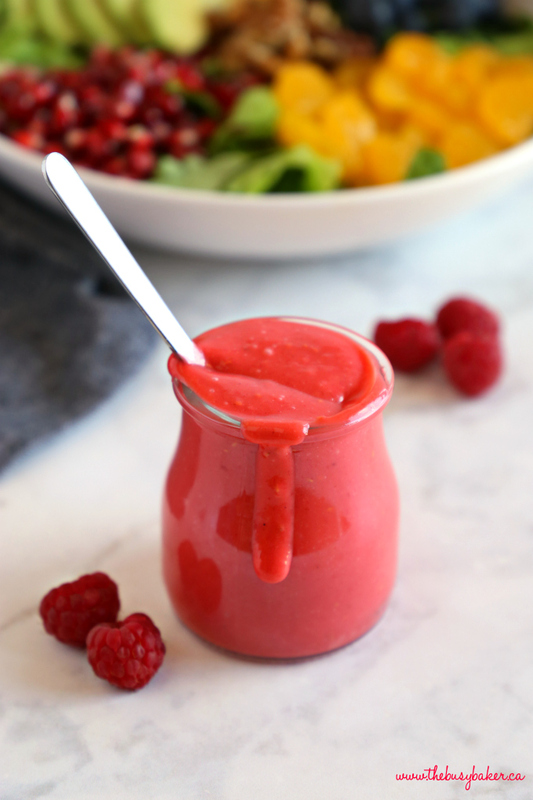 Add the raspberries, olive oil, honey and vinegar to a blender and blend on high speed until very smooth. Taste and add a pinch of salt if necessary (this will depend on the flavour of the raspberries). 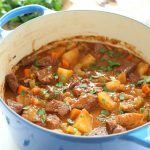 Chill in a mason jar or airtight container for about one hour before serving. 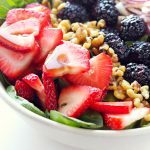 Serve over your favourite salad (a green salad with berries is a great choice!). Yum! Just made this today! Did a little less honey and used some white sugar (just personal taste). Thanks for the awesome recipe! Super easy! So glad you loved it Erika! Thanks for taking the time to leave a comment!! 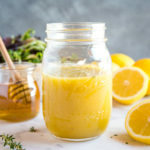 How long is the dressing good For? It keeps in the fridge for about 3-5 days, although it never lasts that long in our house (because we eat it! )!